When it's time to step it up, it's time for Allegro?. Every day, your student is growing. 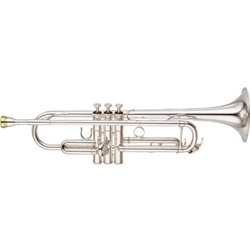 Like clothes that become too small, eventually a beginning student model horn will start to hold them back. Yamaha offers the perfect line of instruments to keep pace with their burgeoning musical growth...Allegro. Offering many features of more advanced professional models, the Yamaha Allegro line of brass and woodwinds is the next logical step in a student's musical progression. High quality yet value-conscious, these elegant instruments are backed by a full 7-year warranty and the legendary Yamaha name. Recommended by band directors the nation over, these precision instruments reflect Yamaha's commitment to the future of music. Step up the learning tempo. Step up to Allegro.